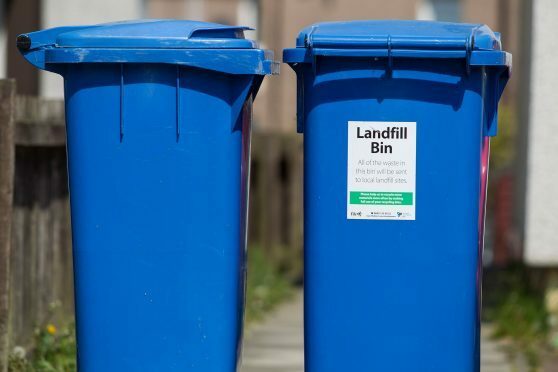 Highland Council has issued a plea to householders to only put clean and dry items into blue recycling bins. Shetland Amenity Trust is to scrap its loss-making cash for cans scheme at the end of March. A meeting of the trust heard the scheme, which costing the trust £40,000 a year, is being duplicated by Shetland Islands Council’s own “excellent” can recycling scheme and was “a cost we cannot afford”. The trust will have to sell its crushing, sorting and recycling plant at the Staney Hill recycling facility, or sell it for scrap if it cannot get a buyer. A report by amenity trust chief executive Mat Roberts says that the C4C (cash for cans) project cost £32,000 for a full-time employee with vehicle plus a further £8,000 for one-day-a-week management. It only brings in £7,500 in can sales and this is distributed to the collectors. Roberts told the meeting that it was difficult to justify the scheme that was now being duplicated by the Shetland Islands Council’s own roadside collection, which would be extended to commercial collection this year. He added that the can recycling plant had been a licensed operation for some time and as such, the SAT had a responsibility to clean up the site, but he doubted if there would be any great work involved in this. The state of the building can not be assessed until it was emptied and all the stock sold, adds the report. Head of development Davy Cooper said that ending the C4C scheme was not unprecedented and that the amenity trust had a long history of ditching recycling schemes, such as for ink cartridges, once they were no longer viable.